Strategic thinking involves making a series of decisions about what actions the company intends to take to become more successful. A company often goes through a strategic planning process once a year, creating a document that is, in essence, a guidebook for the management team to use in the upcoming year. Companies should strive to make strategic thinking an ongoing, year-round process. Strategic planning is based on establishing a long-term plan to achieve a specified mission, through the attainment of objectives set. These objectives provide empirical information that the strategy is working. A strategic plan looks out over an extended time horizon, three to five years or more. The plan establishes where the business is currently, where management wants to go, how they will get there and how they will know when they have arrived. Within every long-term strategic plan there is a short-term operational plan. The purpose of operations is to generate or create value. Operations management is responsible for creating value by achieving the various objectives set forth in the strategic plan. In some instances, companies are very good at articulating or designing a strategic plan but fail to execute a short-term operational plan, which comprises the toolkit required to achieve the strategic plan. Likewise, having short-term plans without a long-term strategy results in a lack of direction or focus as to the corporate vision and values of the company. 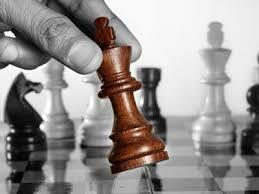 Both long-term strategic and short-term operational planning are important to the future success of any organization. Focusing and implementing a strategic plan fails to account for the operational factors necessary in the short term to achieve the objectives of the company in the long term. Without a tactical short-term plan, operations management is unable to identify the milestones that are important to achieving the overall strategy set forth in the business plan.